Who buys CD’s anymore when you can download the music you want legally off the internet? And no one can play a CD on the go from their cellphone or MP3 player. Thankfully, Nokia has created its own digital music store and service to enhance its mobile services and rise up to the standards set by competitors such as the Apple IPhone series. The Nokia online music store is a one stop shop for enhancing or creating your music collection, with a range of tracks to suit anyone from the gangster rapper to the teeny bopper. And once you download a song, it’s yours for life. A huge plus for the virtual store is the feature allowing you to download straight to your compatible Nokia mobile phone so that you can always take your tunes with you wherever you go. When browsing music on the site, you have various options for finding those perfect beats. Thousands of new tracks are added every week, so you never get bored of the selection and always have something new to rock your radio, both old classics and new releases. Which major record labels’ music are represented? Nokia music offers unlimited downloads with a subscription, meaning that you don’t need to worry about costs and having to pick and choose between your favourite songs. But remember that although downloads from the store are free, your mobile network may charge network fees when you download songs on your cellphone. 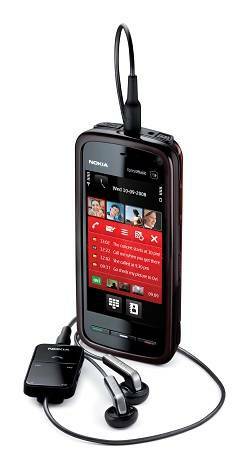 To get a subscription, you also need to have a mobile phone from the Nokia Music Unlimited edition. Many Nokia phones comes with an unlimited subscription as an added bonus and can be purchased online from the shop as well as from a range of retailers around South Africa. If unlimited downloads aren’t your scene and you are more selective with your music choices (or if you don’t have Nokia mobile phone), you can also choose to pay per song for your downloads onto your PC. 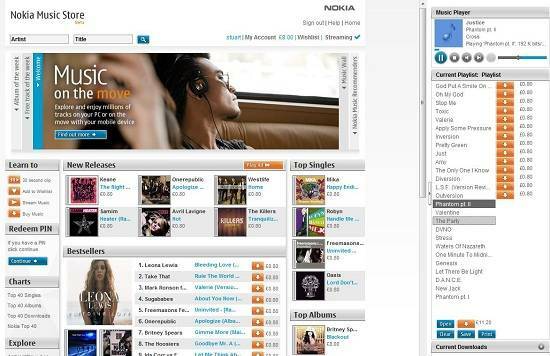 To download music onto your computer you need to install the Nokia Music Player, which can be downloaded from the Nokia online music store site. So what are you waiting for? With over 6 million songs on the South African stores at present (and growing), you are sure to find some tunes to get your groove on and keep up with the latest tracks on the scene.